What Exactly Is A Cosmetic Surgeon Doing During A Rhinoplasty Procedure? If you are unsatisfied with your size of your nose or you have broken it, rhinoplasty, also known as a nose job, offers a way to greatly improve the state of your nose and your overall appearance. Rhinoplasty can also benefit those who have deviated septums and are having trouble breathing. Over 800 rhinoplasties occur every year in Ontario alone. The overwhelming majority of these patients are both pleased and very glad they underwent the procedure. 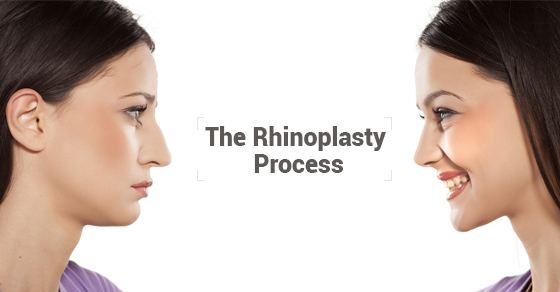 Perhaps you are considering rhinoplasty for yourself and are looking for a more in-depth look at what goes on during this procedure. Here is everything you need to know. First of all, there are many different types of rhinoplasty. Then, there are also many rhinoplasty techniques. Even when similar techniques are used among different surgeons, the overall surgery will vary greatly. Rhinoplasty usually takes between two and three hours and is performed under general anesthesia. Less time is needed to correct breathing issues than making cosmetic changes and for noses that are badly damaged. However, if you are considering rhinoplasty, know that you will be able to return to your own bed the very same day – no overnight stays are required. The first step during a rhinoplasty procedure is the making of an incision in the nose. Dr. Oakley Smith prefers the open approach as it provides a better view of the nose and makes it easier to move around during the surgery. The open approach makes an incision just below the nose and between the nostrils instead of inside the nose. Toronto is at the forefront of the open approach. The nasal bone is filed down to make it smaller or smoother as the cartilage is reshaped into its ideal position. The cartilage may also be entirely removed. Next, the skin is then stitched back into place. Lastly, an internal nasal stent is then inserted into the nose. This is a less common alternative to nose packing but provides the same outcome: that is, the internal nasal stent provides support for the patient’s fragile nose. Rhinoplasty is a very safe and everyday procedure. If you are interested in undergoing this procedure, consider Dr. Oakley Smith. He is the only surgeon in Ontario concentrating exclusively in the area of rhinoplasty and is one of the best plastic surgeons in the country. Contact his clinic today for a consultation.